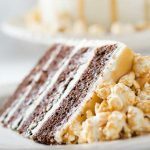 Celebrate in style with this chocolate popcorn cake! It’s easy to prepare if you follow the steps thoroughly! 1- Preheat oven to 180 C. Grease and flour two 25 cm round cake pans then line their bottoms with parchment paper. 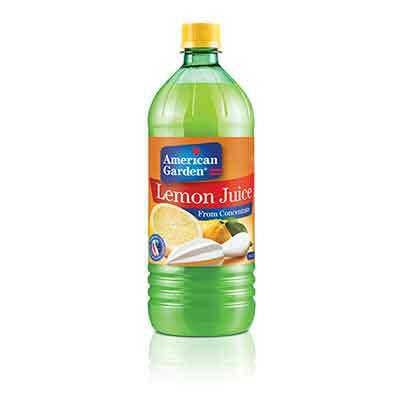 2- Add lemon juice to milk. Leave aside. 3- In a bowl, sift together the flour and the baking soda. Set aside. 4- In a large bowl, cream butter and sugars until smooth. Add the eggs, one at a time, beating well after each addition. Add the chocolate and mix until well incorporated. Add the dry ingredients in thirds, alternating with the milk and the vanilla, beating after each addition until smooth. Add the chocolate chips and stir once. 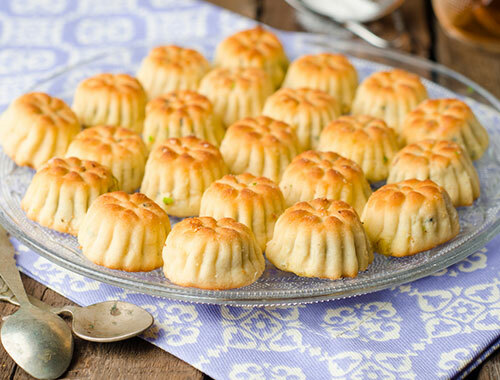 5- Divide the batter between the prepared pans and bake for 25–35 minutes. Let cakes cool for 10 minutes then remove from pans and leave to cool completely. 6- To prepare the cream, place the butter, powdered sugar and vanilla in the bowl of an electric mixer. Beat until creamy. Place in the refrigerator. 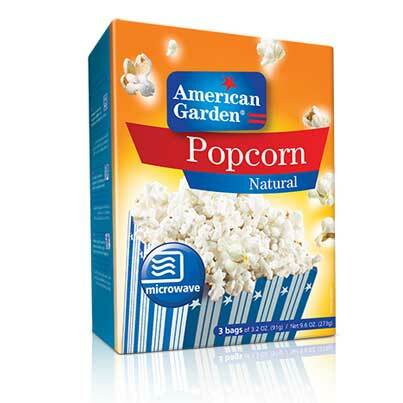 7- To prepare the popcorn, follow the instructions on the pack. Put them aside in a bowl. 8- Melt the butter in a saucepan over low heat. Add in honey and sugar and cook while stirring until the sugar has dissolved. Increase the heat and stir until light golden. 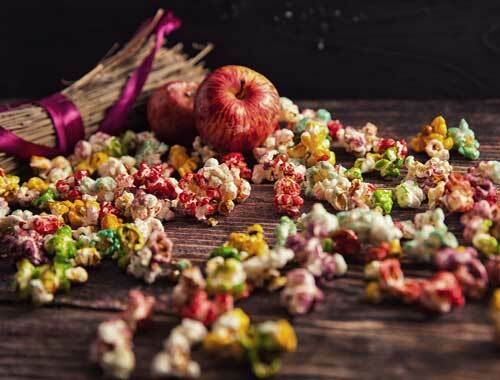 Pour the mixture over the popcorn and quickly stir to coat. 9- Halve each cake horizontally to make 4 even layers. Place the bottom layer and spread with cream. Assemble the other layers on top of each other, spreading the cream on top and sides of each. 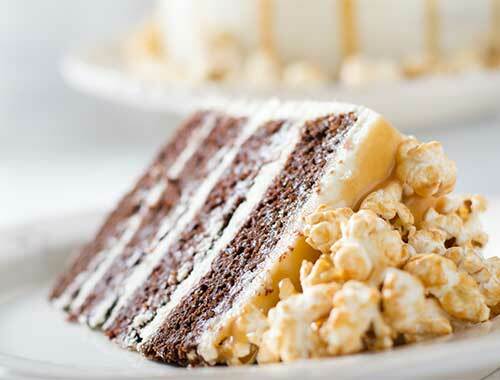 Top with the caramel popcorn and refrigerate a couple of hours before serving.